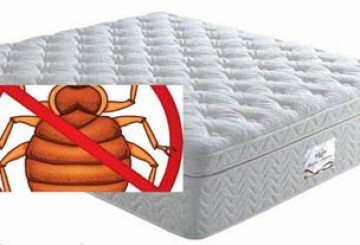 The presence of bed bugs in one’s home is among the growing concerns of the household anywhere in the world. One misconception about bed bug infestation is that it is only possible in untidy or cluttered spaces. Bed bugs can be found anywhere even in the most organized places. They are so small that they sneak into the tiniest spaces in your luggage, footwear, and other belongings without you knowing. And because of their size, it is easier for them to travel from one place to another. Considering that female bed bugs can lay hundreds of eggs, they might have already multiplied before you actually learn about them in your home. So you need to know how to cure bed bug bites in case that you can’t avoid it. In general, the presence of these insects in our home is indicated by a bed bug bite. This, however, is not a strong proof of infestation. Whether there is infestation or not, bed bug bites can be a nuisance and such impairs one’s quality of life. So we listed out some of the more common and fundamental questions about bed bug bites. 1 Does bed bug carry diseases? 2 How to cure bed bug bites? 3 What are the different ways to treat bed bug bites at home? 4 When to consult doctor? Does bed bug carry diseases? 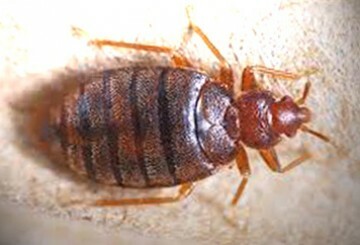 Bed bugs are characterized by their red or mahogany color for the adults, while translucent ones for the nymphs. They can grow as long as 5mm in diameter. Their flat and oval-shaped body allows them to sneak into the mattress and other objects with ease. The bite from bed bug may leave a red mark for a couple of days and can become itchy. Hence, a lot of people would ask do bed bugs carry diseases. For such a long time, it was believed that bed bugs do not carry to transmit diseases. However, a recent study by the University of Pennsylvania’s Center for Clinical Epidemiology and Biostatistics shows that bed bugs can acquire and transmit parasite that causes Chagas disease. The research continues to determine if they have a big role in the epidemiology of Chagas disease and some other mitigating circumstances. How to cure bed bug bites? To prevent infection, it is highly important to wash the affected area with water and soap. This will likewise aid in reducing the level of itchiness from such bite. 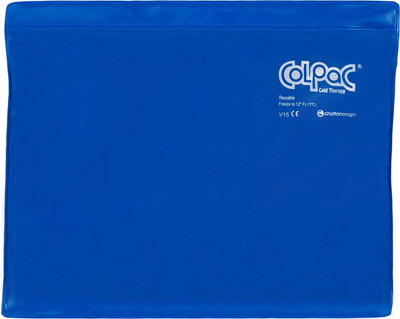 There are many home remedies to get rid of bed bug bites and one of them is application of ice pack on to the bitten area. The cold temperature of ice numbs the nerve endings, hence the reduced itchiness caused by bed bug bite. The anti-inflammatory properties of water and baking soda mix will alleviate the redness and swelling as it neutralizes the chemicals that cause the itching. A mix of baking soda and water is also of big help. Baking soda is known for its anti-inflammatory properties that effectively reduce swelling and redness. Moreover, it neutralizes the chemicals that produce an itching sensation. If you have an apple cider vinegar in the pantry, you may use the same to apply on the affected area. The acetic content and anti-inflammatory properties of apple cider vinegar relaxes the affected area, while reducing the burning sensation and itchiness. There are also essential oils which anyone can use against bed bug bites. These oils that include peppermint, tea tree, and eucalyptus have medicinal properties that are used to treat not only insect bites but also burns and cuts. The anti-fungal characteristic of essential oils aid in preventing infection to the affected area. Tea﻿ tree﻿﻿ oil is another effective and natural way to treat bed bug bite. This essential oil is produced by the leaves of Melaleuca alternifolia known for its medicinal benefits in healing burns, cuts, bites, and infection. It has antiseptic and anti-fungal properties good for bed bug bite treatment. What are the different ways to treat bed bug bites at home? Treatment of bed bug bites come in different types. There are clinical and natural methods that one can do to get rid of bed bug bites. Here are some more ways on how to treat bed bug bites. Corticosteroid cream is also a relief from the itchiness. Weak form of corticosteroid cream is available for over-the-counter purchase, while stronger ones will require prescription from the doctor. In some cases, people who are bitten by bed bug have allergic reaction to it that is why antihistamine should be ready in your first aid kit. Toothpaste is one another way that can cure bed bug bites at home. Apply it to the area that has been bites with some water. It will immediately stop itching and burning from bed bug bites. Baking Soda and mental in the toothpaste will help relieve burning and itching. Natural astringents like St. John Wort’s, witch hazel, and lemon juice also dry out rashes while calming the itch. Not known to many people, but your tea bags in the kitchen may also help. After enjoying a cup of tea, cool the used tea bag for about half and hour and let it stay on the affected area. The tannin found in tea bags has both astringent and anesthetic properties. The aloe vera plant gel is an ideal way to manage the itchiness through its amino acids. It helps the skin to recover faster with its moisturizing effect to the skin. This may come as a surprise to many, but oatmeal is another way to get rid of bed bug bites. The soothing and anti-inflammatory properties of oatmeal reduce irritation and itching of the skin. Cucumber is also another source of relief for bed bug bites. Its water content, vitamin C, and caffeic acid all work together as anti-inflammatory to target the affected body part. In general, bed bug bite does not pose risk to your health as it does not transmit any disease. However, in case the bite or rashes do not clear up in about a week or two, then it is recommended to seek your doctor’s advice. This is important especially if the bite leads to blisters and other allergic reactions that would need prescription from the doctor. Moreover, since the bites or rashes may be similar to other insect bites, paying your doctor a visit will help properly determine its cause. The presence of bed bugs in our home may not only affect our health, but it also has adverse effect in our wellness and quality of life. This issue is a growing concern among many household across the globe. And the latest developments on the effect of bed bugs to human health should be enough to address the probability of bed bug bites and infestation as soon as possible. Bed bug infestation is something one can prevent and treat. You need to know how to cure bed bug bites to cure in case you can’t avoid it. In any case, the wellness of the family should be the top priority.